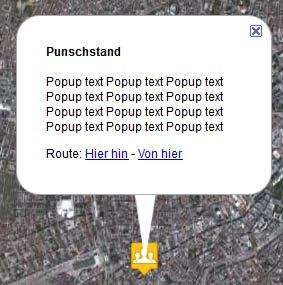 From v1.0 upwards Leaflet Maps Marker has supported animations via KML in Google Earth (by using the tag <TimeStamp>). Until now, the marker creating date was used for this tag. This was enough for many usecases but didn´t allow for example to tell stories precisely via animations. 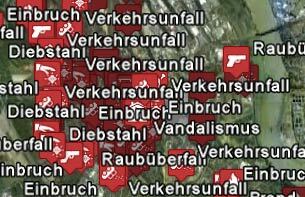 Imagine using the plugin to make a crime map which shows every incident that happend during the last month. As the date of the incident is likely to be different from the marker creation date (at least if you didnt commit the crime 😉 ) the KML animation feature within Google Earth won´t get you a precise result. 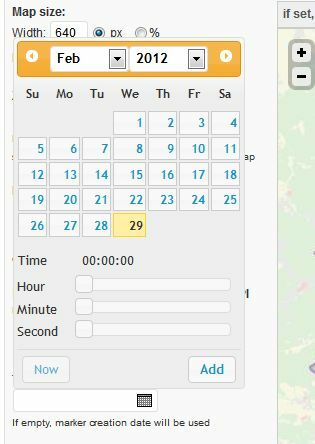 This field on marker edit page is optional – if you leave it empty, the marker creation date will be used for the <Timestamp>-tag within the corresponding KML files. I am still looking for more nice showcases/Youtube videos showing this feature in action. If you build a great animation/video using this feature and would like to see it on the showcases page on mapsmarker.com, send me an email! This is done by reducing the parameters of the GeoJSON array internally to the absolut minimum attributes needed for displaying maps. The GeoJSON-links for maps and layers (e.g. in admin area or in the map panels) still link to the GeoJSON array with the full list of attributes in case you need this data for embedding it into other websites or apps. This is done by the parameter &full=yes which gets added automatically to GeoJSON-Urls like https://www.mapsmarker.com/wp-content/plugins/leaflet-maps-marker/leaflet-geojson.php?layer=all&full=yes – change this parameter to no, if you want to use the light-weight GeoJSON-Array on external websites or apps. If you want to use the default blue pin, just leave the field empty. Thanks to Marijke Metz – www.mergenmetz.nl – the plugin interface is now also available in Dutch. If you would also like to contribute a translation, please visit this page for more information. I also fixed lots of bugs including correct calculation for KML timestamps when UTC < 0, API bugfixes and more. For a full list of changes and bugfixes, please see the full changelog below.